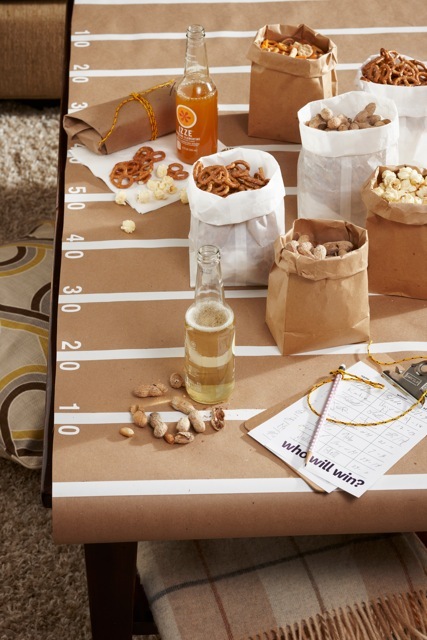 But loving kraft colored butcher paper the way that I do, this new version of the football field table cloth stole my heart. Plus, when the party is over, you can throw it away instead of trying to clean dip off of the felt. 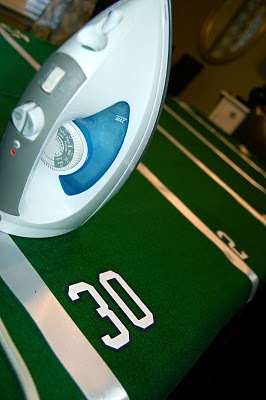 You can check out the kraft paper gridiron table cloth over at Karin Lidbeck-Brent's blog.